Growing up in Buffalo, my sister and I were lucky enough to visit Canada often when we were younger. With family living just across the border in a suburb of Toronto, we’d come up for birthdays, holidays and other family events. Now, with work sending me all over to travel. I ended up in Yorkville, Toronto for an afternoon before I had to get down to business. My mother met me for a light dinner while I had some downtime and we found this lovely Italian spot, Trattoria Nervosa. Just what we had in mind. After a bit of a long day, and weekend full of home-cooked meals. We were in the mood for something light and not too heavy on our stomachs. 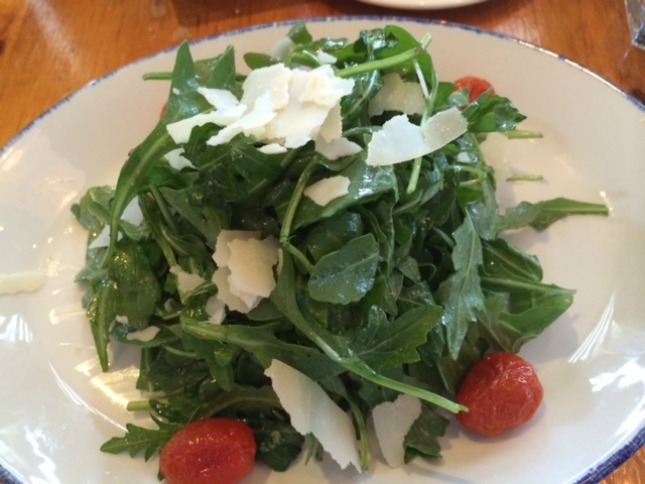 To start off, we both went with a Rucola salad, which included baby arugula, grape tomatoes (that we’re cooked and warmed to perfection), red onions, parmigiano and a lemon vinaigrette. 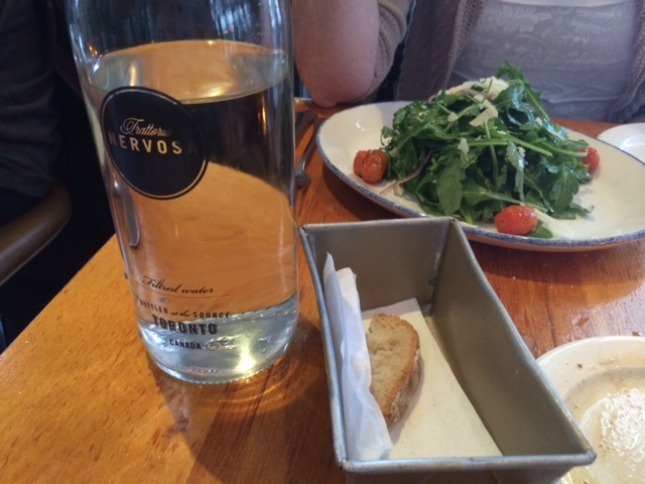 So fresh, it was a great beginning to the meal. 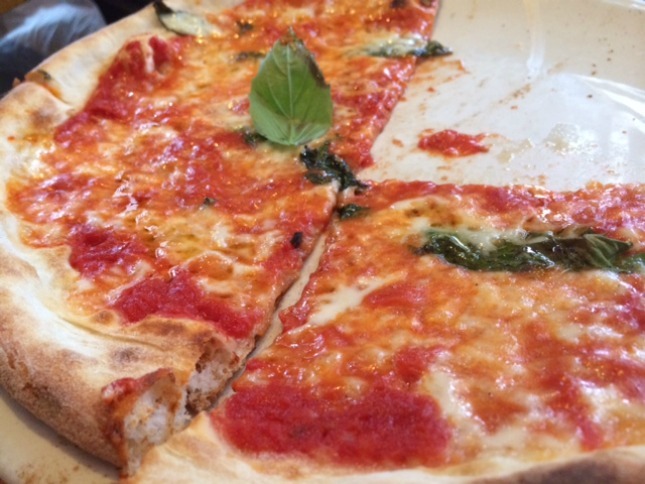 For the main course, we split the Margherita pizza. Best decision ever. The homemade crust was so hot and light, that it wasn’t anything like I’ve had in the past. The “classic” of all the menu options, our selection included the simplest of ingredients: tomato sauce, fresh mozzarella and basil. This was definitely a situation where “less is more” prevailed. Other menu items that caught my eye? The Funghi e Formaggi pizza was a close second, with ingredients including oyster and crimini mushrooms, San Daniele prosciutto, gorgonzola dolce, goat cheese and cipolline onions. We will defintely be back. Until next time, Toronto! Tags: arugula, basil, cananda, margherita, mozzarella, pizza, salad, toronto, trattoria nervosa. Bookmark the permalink.